Born August 10, 1949 in San Luis de Colorado, Mexico, Palomino arrived in the United States at the age of ten. 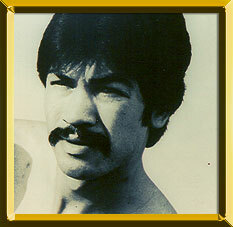 While serving in the U.S. Army in 1971 and 1972, Palomino was All-Army welterweight champion. In 1972 he also won the National AAU championship when he defeated eventual Olympic gold medallist Sugar Ray Seales. That same year he turned pro under the guidance of manager Jackie McCoy and began a steady march to the world welterweight championship. He tasted defeat for the first time in 1974 when Andy Price scored a 10-round win, but Palomino would not lose again for over four years. Following a draw against the highly regarded Hedgemon Lewis in 1975, Palomino would soon be matched with WBC champion John H. Stracey of England. Stracey and Palomino met June 22, 1976 in front of 8,000 fans at Wembley. Palomino dropped the champion twice in the 12th round before the referee halted the contest and declared Palomino winner. As champion Palomino kept a busy schedule and would successfully defend his laurels seven times over the next two years, including title defense victories against Armando Muniz twice (TKO15, W15) and Dave Green (KO11) among others. On January 14, 1979 he lost his championship to Hall of Famer Wilfred Benitez via 15-round decision. Following a loss to 'Hands of Stone" Roberto Duran on June 22, 1979, Palomino retired to pursue an acting career. However, he ventured back to boxing for five bouts (4 wins and 1 loss) between 1997 and 1998 before retiring from the ring for good with a 31-4-3 (19KOs) record. In the ring, the consistent Palomino was an intelligent, well-rounded technician with a sharp left hook and an effective body attack. Palomino, who has acted on the television program Taxi and in the popular Miller Lite Beer commercials, holds a degree in recreational administration from California State University at Long Beach.